This touch screen remote control from Superior has all the bells and whistles you could ask for. It has both thermostatic and manual on/off controls for simple temperature maintenance, not to mention two preset programs for weekdays and weekends. The backlit LCD display features a low battery indicator as well as a flame icon, so you always know where things stand with your system. There is even a childproof lockout feature to keep everyone safe. The receiver can be either mounted on the wall or placed by the fireplace hearth. The kit comes with the wall mount for the transmitter as well as four AA batteries. Will it adjust the flame height? It will not. 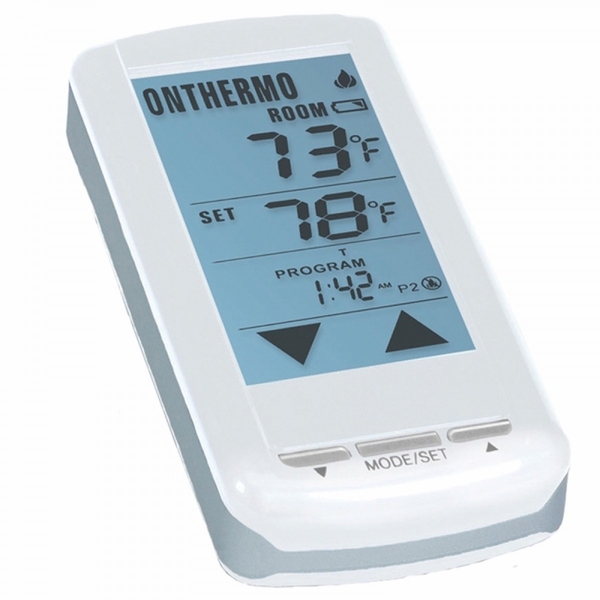 This remote only provides on/off and thermostatic functionality. What are the measurements of the wall mount for the remote? The width of the wall mount is 3" and the height is 5.5".